For the most part will be red wines produced, only these have the Appellations status, The full-bodied and full-bodied plants with silky texture become the dominant variety Merlot, which occupies about 60% of the vineyard here, as well Cabernet Franc (here Bouchet) with shares of Cabernet Sauvignon. Cot (here Malbec, Pressac) and Carmenère (also Carbouet) produced; the typical grape varieties of the Rive droite, Long Maceration times and Barrique in mostly new barrels of French oak are common. They are gentler, more fruity and less tannic than those from the Médoc. 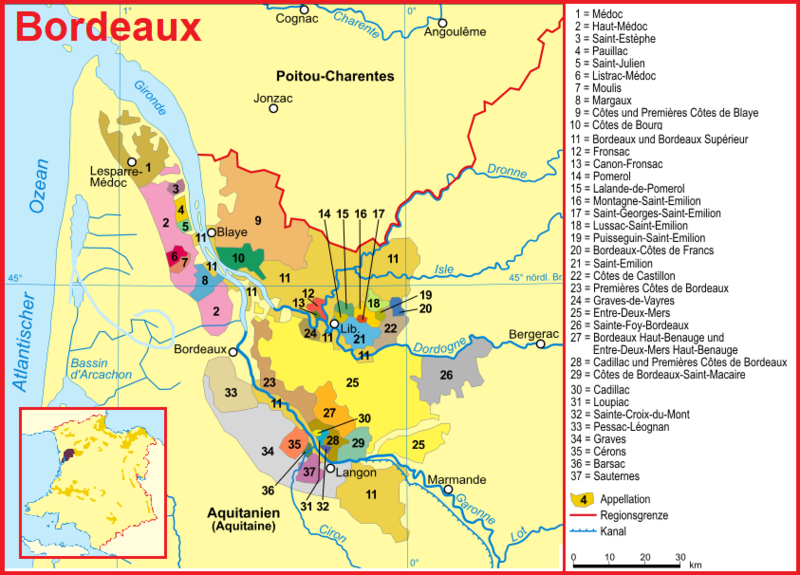 The classification in 2012 was carried out under the supervision of INAO by a jury of seven professional tasters, In order to guarantee independence, no members of the Saint-Émilion-Syndicat or the Bordeaux wine trade below, but professionals out Burgundy. Champagne. Loire. Provence and Rhone, The wine review took place by means of blind tasting with a 20-point system, At least 14 points were required for the Grand Cru Classé and at least 16 points for the Premier Grand Cru Classé. There was an increase from 60 to 82 farms, reflecting improved standards in the winemaking and greater consistency of the rating. The shock caused by the many declassifications in 2006 has obviously motivated much effort. There was with the Château Corbin-Michotte just a declassification. This classification will probably be valid for the next 10 years (until 2022). This page was last modified at 23 February 2019 at 11:08.